Twice each year, in the spring and in the fall, cable companies experience a phenomenon known as “sun outages.” Basically a sun outage occurs when a satellite from which we receive TV programming becomes directly in line with the Sun, and interference from the Sun’s electromagnetic rays create reception issues for the satellite signals. 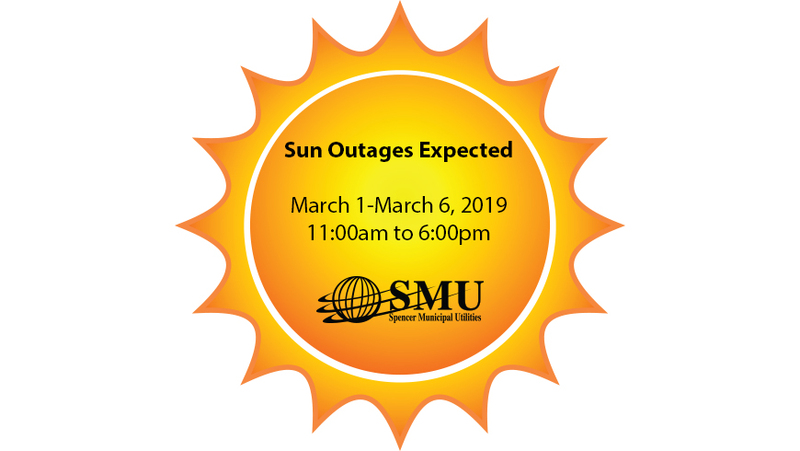 SMU expects to see sun outages on its satellite delivered networks on or about March 1 through March 6 from approximately 11:00am to 6:00pm. During an outage, TV pictures might become filled with static or in some cases disappear completely. Unfortunately, there’s nothing that can be done to prevent sun outages. In most cases, the signals are restored within a few minutes. We appreciate your patience during these sun outages.